The Dell DataSafe Online service was an online backup system that encrypted and backed up your files. First launched in 2007, the service was discontinued on June 4th, 2015. Files were kept for 30 days after account expiration and users could transfer data onto their computers during that time. As of 30 days after June 4th, 2015, all data was purged from the system and is no longer available to account holders. The system offered a simple and convenient way for users to backup important files and protect them in case of things like software corruption, hard drive crashes, ransomware attacks, accidental deletion of files, theft, or physical damage. Thankfully, there are plenty of alternative options when it comes to online backup services. In this post, we reveal our top choices for providers of online backup and why they deserve consideration. Before we jump in, we’ll take a look at what Dell DataSafe Online had to offer and some important security features to look for in alternatives. What were the benefits of Dell DataSafe Online? While Dell DataSafe Online seemed to be a solid offering, it definitely wasn’t without its downsides. Some reviewers noted usability issues. Customer complaints about the reliability of the service and subsequent customer support were not uncommon. In order to help educate users of backup services about what they should expect from a provider in terms of privacy and security, we developed a cloud backup privacy charter. Overall, we advocate a zero-knowledge policy, such that not even the provider can ascertain the contents of encrypted files. You can find the full details in this dedicated post, but we list the main factors to consider here. Use a 256-bit AES, 128-bit AES, or 448-bit Blowfish encryption protocol for stored data. Use SSL encryption for data transfer. Encrypt data on the local machine before transfer. Enable users to set a private encryption key. Own (instead of rent) private physical data centers. Be unable to access metadata, such as file names, file sizes, and directory structure. Guarantee that a user’s data is only accessible by that user. The alternatives we list below check off most, if not all, of our criteria. IBackup: A service for small businesses with plenty of features but missing synchronization options and lacking solid customer support. IDrive: This home backup service has a solid free offering but steep overage charges and mediocre customer service. Carbonite: An economical but basic offering geared toward Windows users. CrashPlan: This service for small businesses offers strong security and plenty of control but doesn’t allow mobile backups. SpiderOak ONE: Another service with a strong security focus, this one has a feature-rich desktop client but a so-so mobile app. 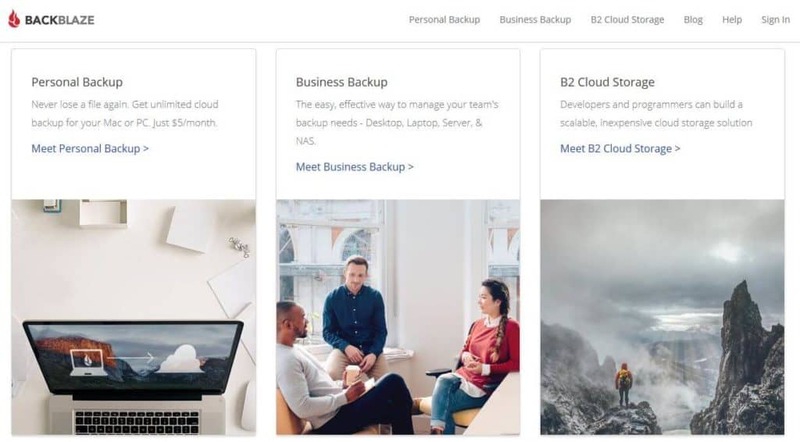 Backup Everything: A service with plenty of features and a focus on small businesses, with a less user-friendly consumer version, although there is a mobile-only version which some will be happy about. Tresorit: This one has strong security and plenty of features, but these come at a price and with little support for personal users. SOS Online Backup: The easy-to-use desktop versions might justify the higher price, but mobile users will be disappointed with limited apps. Backblaze: A service offering good value for money with backup of unlimited files, but only for one device. 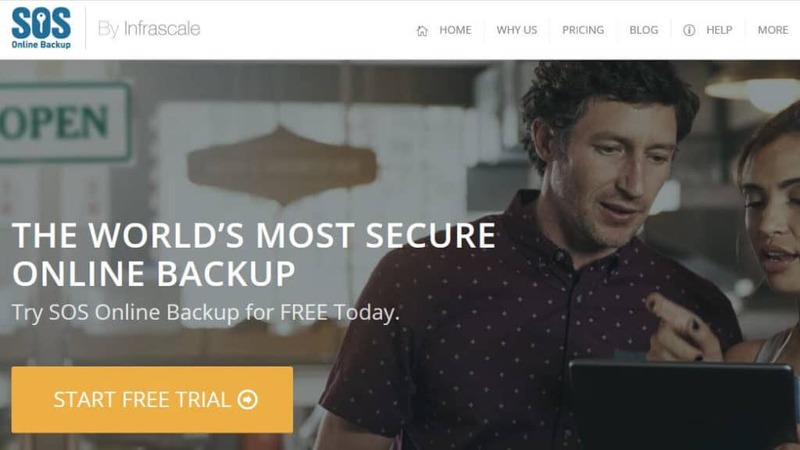 This backup service is geared toward small businesses and offers excellent security and privacy features. It uses 256-bit AES encryption for stored data and SSL for transfer. There’s the option to create your own private encryption key so that no one else, not even the provider itself, can decrypt your files. Physical servers are owned by parent company Pro Softnet Corporation. Aside from solid security, IBackup performs well from a usability standpoint. It uses file compression and performs incremental backups, which means you enjoy fast upload speeds. You can create sub-accounts making it easy to manage multiple devices and users, especially useful for small businesses. Helpful add-ons like local and server backups make the service a bit more versatile than other providers. Unfortunately, IBackup doesn’t offer synchronization, which is a fairly common feature among competitors. Considering this and some not-so-great customer service, packages are a little on the pricey side. Read our full review of IBackup. 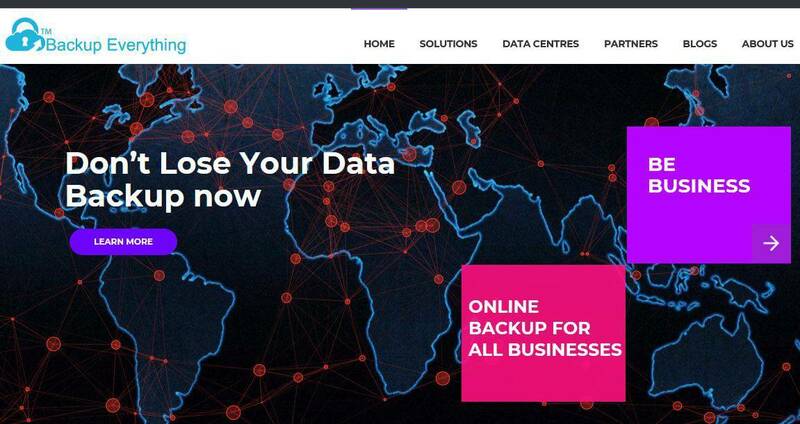 IDrive is owned by the same company as IBackup and provides backup services more suitable for home use. It’s an excellent option for those looking to back up and sync across multiple devices. Encryption is solid with 256-AES and SSL, and you can create your own private key. Similar to IBackup, servers are own by parent company Pro Softnet Corporation. This service is free for up to 5 GB of data and offers some neat features, including Facebook and Instagram backup and easy-to-use versioning, archiving, and syncing. One of the main downsides to this service is customer support, which was lackluster in our experience. Even though there is a free option, overage charges can quickly add up, so be sure you keep track of your how much space you’re using. Read our full review of IDrive. This is a more basic service than some of the others on the list, but it’s well-priced and offers strong security. Encryption is 128-bit for regular plans, but 256-bit is available for server backups. Data is encrypted before being transferred and protected with SSL during transit. Private key encryption options are available. As for features, you get automatic cloud backup, external hard drive backup, and remote access to files. Deleted files can be recovered for up to 30 days in case you accidentally delete something important. Carbonite provides excellent customer support with responsive and knowledgeable agents on hand to help you with any issues. This service is very much geared toward Windows users, so those running another or multiple operating systems may want to look elsewhere. There are some missing features such as the ability to sync across devices and share public links, making this one a bit limited overall. Read our full review of Carbonite. CrashPlan used to offer a free plan for home users but is phasing it out this year. It will now focus on a solution for small businesses. This uses 256-bit AES encryption for stored data. Data is encrypted before being transferred using SSL, and there’s a private key option. Deleted files are kept forever unless you request otherwise, so you never have to worry about losing something important. You have plenty of control of what gets backed up when, unlimited cloud storage, syncing and sharing, and ample retention and versioning options. If you’d rather keep everything offline, you can opt to store files on your own external hard drive. CrashPlan offers a free trial offer, after which it costs $10 per month per device. This may make it a bit pricey for personal users, but it could make sense for businesses. This service doesn’t support mobile backups, which again isn’t great for personal users. Support is solid but accessible times are limited. Read our full review of CrashPlan. SpiderOak ONE is one of a suite of services offered by SpiderOak. This provider has a strong focus on security and a strict zero-knowledge policy. 256-bit AES encryption is paired with SSL for transfer and using a private key is the only option. This means you’ll have to be extra-vigilant about not losing or forgetting your key. A plan gives you use with an unlimited number of devices, along with the ability to sync across them, share links to certain files, and access backups online. The desktop app is intuitive and feature-rich. On the other hand, the mobile app doesn’t offer a lot of functionality and won’t support uploads. This service is a little on the pricey side, but if it’s primarily for desktop use, you’ll likely deem the features and security to be worth it. Read our full review of SpiderOak ONE. This British company provides a service geared toward small and medium-sized businesses and shines on many levels. Starting with security, there are no complaints here as you get 448-bit Blowfish encryption, SSL encrypted transfer, and private keys. Backup Everything has all the features you need, including a large variety of backup options, stellar versioning features, and excellent customer support. You can get a lot of bang for your buck with the low-cost options available. This focus on business clients is evident by the less polished consumer version. But it does provide a strictly mobile option that could be ideal for some users. 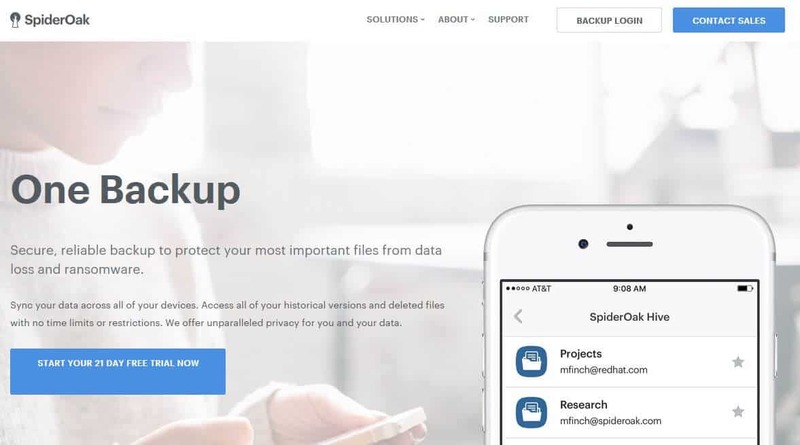 Read our full review of Backup Everything. Tresorit offers both storage and backup solutions, and adheres to the zero-knowledge standards we look for in this type of provider. It uses 256- bit AES encryption and SSL for channel protection. Files are encrypted before leaving your device and can only be accessed using your private decryption key. You can sync files across devices (although this can be slow), share files with links, and invite collaborators to view your files. A personal plan gives you 2,000 GB of storage and can be accessed from up to ten devices, but it’s fairly pricey at $30 per month. One big downside is that personal plans don’t come with live support. Packages for small and large businesses provide additional features such as team folders and live customer support. This is another pricey provider, although the perks may be worth it for some users. Encryption is 256-bit AES along with SSL for data transfer. The files are protected by a private encryption key so there’s no chance of anyone but you seeing their contents. A backup wizard preselects all your most relevant files to make the initial process smooth and simple. You can use the Safe Forever feature to ensure your files are never deleted and simply archived in case you need them at a later date. SOS Online Backup doesn’t provide continuous backup for all selected files, which may be frustrating to some users. The mobile apps have limitations, so this might not be the best option for people on the go. Backblaze is an online storage and backup provider that offers decent value for money. It’s strong from a security standpoint with 128-bit encryption for storage, SSL encryption for data transfer, and private decryption keys. You can use automatic or scheduled backups, filter based on file type, and restore multiple versions for up to 30 days. Unlimited files can be backed up but you’re limited to one device and there’s no mobile backup. You do have the option to share files with other users. Can I just use Dell Backup and Recovery? Dell Backup and Recovery is the option recommended by Dell as a substitute for Dell DataSafe Online. It comes built into certain models and is free to use for the basic plan. It can be used to manually back up and restore files or return the system to its factory state. However, this service is also being phased out (at least the online portion) and there doesn’t appear to be a successor in the works. If it’s installed on your computer and you have your own storage options, it might be worth giving it a go. Although, the reportedly bad customer service experienced by Dell DataSafe Online customers might well extend to Dell Backup and Recovery. 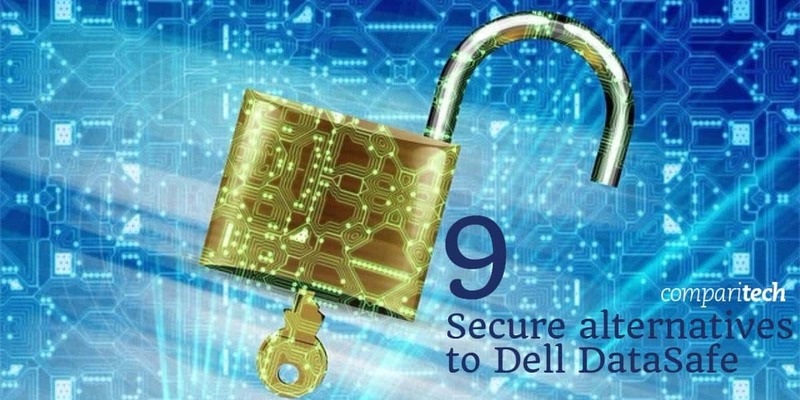 With a large company like Dell, it’s often difficult to get to the focused help you need for something like secure backup. With so many superior offerings out there, it might be a better idea to pay a little extra for something more feature-rich and reliable. When looking for an alternative for Dell DataSafe Online, you may come across some confusing terminology. Cloud storage and online backup systems are two similar services with very different applications. However, they are often confused because they aren’t always named clearly. For example, cloud storage systems might be referred to as online backup systems, and online backup is often called cloud backup. Cloud storage involves saving certain files in an online storage system, often instead of on your computer. In this case, you save room on your hard drive and the cloud storage system acts an extension of your computer’s storage capacity. Users typically choose what files to store and upload them manually. Online backup systems are used to create secure replicas of files that remain on your computer. Instead of moving files to free up room, you’re simply creating backups in case anything should happen to your computer or system. This protects from things like accidental deletion of files or hard drive crashes. Online backup is often completed automatically, but many services have manual settings as well. If you delete a file on your computer, it will also be removed from the cloud, although archived versions might still be stored. Since the function is fairly similar, so you often see overlap within the same provider. Some of those we talk about above offer both cloud storage and online backup. Are online backup systems secure? We’ve placed a strong focus on security throughout this post, as we believe that to be of utmost concern when you’re protecting your personal and business files. However, when you use these services you are placing a huge amount of trust in these providers. So is your data really safe and secure? One concern you might have is sudden termination of the service, resulting in the loss of your backups. This is more of a potential issue with new, small providers, so it’s best to stick with tried and tested options. Another common worry is the threat of data breaches. While no entity is completely immune, if you look for providers with zero-knowledge standards, you really can’t do much more in terms of protecting your data. What about things like things like mass government surveillance or law enforcement monitoring your information? While most service providers are required to hand over information under a court order, they wouldn’t have much to show. Zero-knowledge standards mean that they’d never be able to reveal the contents of your files. At most, they may record metadata such as total amount of storage used and times of backups. As long as you opt for private keys instead of using those stored by the provider, you should be the only one with access to your files. If you have any doubts about the security of the service you’re using, or you know that it doesn’t encrypt files before they leave your device, you might want to encrypt them yourself before adding them to the cloud. If you’re going to the trouble of doing this, make sure you use strong passwords to avoid any holes.